Use your Silhouette machine to make one of my 10 Best Silhouette Cameo Projects from this year (chosen by you)! How in the world are we creeping up on another new year already? It seems like 2016 just started and now it’s almost over. It’s really insane to look back on this little space of mine and see what it’s been through this year compared to where it is now. My Silhouette Cameo is my greatest crafting tool and I have loved using it to make things to share. Y’all have really loved some of the more recent Silhouette Cameo projects, and your response to them has lit a fire in me to bring you even more creative posts in the New Year. For now though, I put together my 10 Best Silhouette Cameo Projects so that you can find them all in one easy place! This year brought a lot of growth, both personal and business wise, and I am thankful for all that I learned and have accomplished. Back in April I rebranded from Crafty Wife to Simply Made Fun and I have been so happy with the new direction of my blog. While I’ve always had a slight focus on crafts, rebranding gave me the opportunity to fully focus on creating simple craft projects that can appeal to a wide variety of crafters. And honestly, y’all have responded so much more than I could’ve ever imagined. I have learned a lot about my Silhouette machine this year and it’s been fun to have you all learn and grow with me. The main focus of this blog is to give you the tools to craft with confidence, and I am excited that this next year will bring even more easy tutorials for y’all to dive in to! 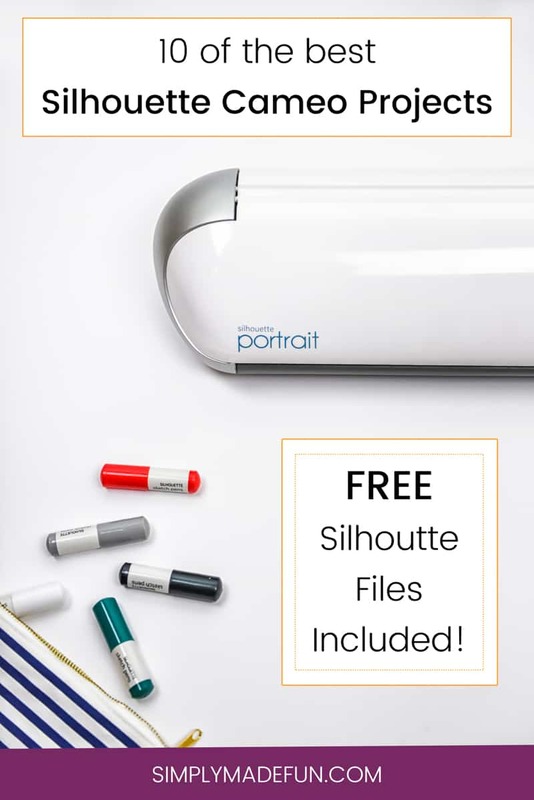 If you were given a Silhouette machine this Christmas, I hope you will find some project inspiration here. But even if you’ve had one for a while, there is definitely some fun and easy crafts for you to try. Check out the 10 best Silhouette Cameo Projects from this year! 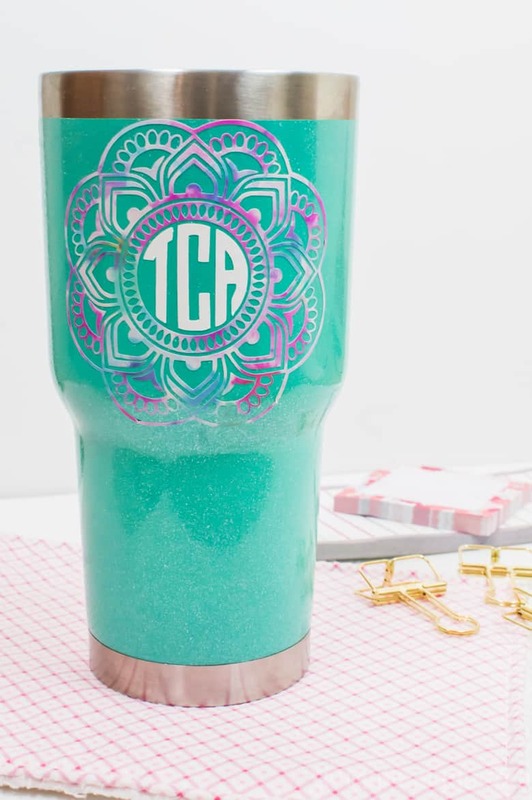 If you’ve stayed away from doing multiple layer vinyl projects because you’re afraid of not lining up the layers correctly, then this tutorial is for you! Learn how to layer vinyl the easy way with with one simple tip. Do you love Harry Potter? Me too! 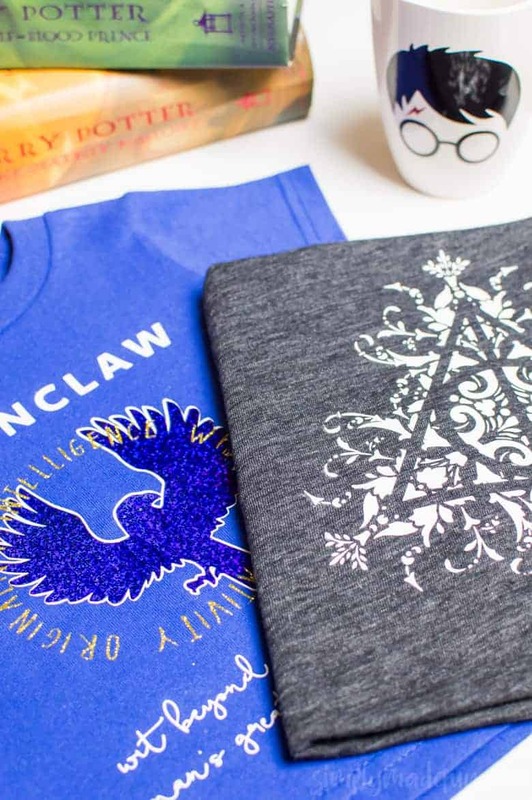 These Harry Potter shirts would be perfect if you’re planning to visit the Wizarding World of Harry Potter this year. Or if you want to wear HP clothes just because! Ever wonder how people cut stencils that are larger than their Silhouette machines? You can find out how I did it with this Hand Lettered Rudolph Craft! Use the Print and Cut feature on your Silhouette to make your kids these Captain America Stickers! Glittered Ornaments make gorgeous gifts for family and friends! And you can use gold foil to put gorgeous designs on them too. Who loves anything Gilmore? This Gilmore Girls T-Shirt is the perfect gift for any fan of the series! Are you looking to be more organized in the New Year? These Back to School stickers will help you keep up with homework and all the other important events going on this year. Did you see Fantastic Beasts and Where to Find Them? If you loved the movie you will love these Magical Harry Potter Ornaments! I’m obsessed with GOT and this Game of Thrones Inspired Dessert Plate is perfect for our binge watching weekends! Do you love to decorate your Happy Planner with custom stickers? These cute and spooky Happy Planner Halloween Stickers will look perfect in your planner! What type of Silhouette Cameo projects would you like to see this coming year? Comment below and let me know! Happy New Year friends. I hope you all have a prosperous and blessed year! Need more Silhouette Projects to try? Check these out!